When the Silent Film Director app for the iPhone was released a year or so ago, we noted it in passing and gave it no further thought. Just another gimmicky smartphone app – in this case one which converted your videos into faux silents with sepia tone, scratches and intertitles – and not likely to make much of an impact. Well, a year or so on, and Silent Film Director has turned out to be a cult hit. More thought has gone into to development than you might have expected, with respected silent film musician Ben Model serving as consultant. News stories regularly come down the wires that indicate its growing popularity, demonstrated not least by the number of videos produced in the format which are to be found on YouTube. Most are pretty much what you would expect, inconsequential home movies with a dash of tomfoolery, but there is clearly something about the time travel effect that converting 2012 into 1922 at the push of a button that appeals, and which has played its part, we suspect, in the increased appreciation of silent film generally which we cannot help but notice. You don’t have to shoot your film with your iPhone, just use the app to edit and upload the results. The competition is open to anyone worldwide. Winners will be announced on June 1st, and there are weekly winners as well, with prizes including tickets to see Napoleon in San Francisco, which is commendably imaginative of them. You can view the videos on the Silent Film Director YouTube channel, from which we have picked the video at the top of this post because (a) it’s the first silent film we’ve seen with Barack Obama; (b) by who knows what design there happens to be a poster for The Cabinet of Dr Caligari in the background; (c) the footage is taken from 24-hour channel Russia Today, of all sources; and (d) it’s quite fun (the music is from that regular source for silent film music online, Incompetech.com). How short can a film be and still be a film? 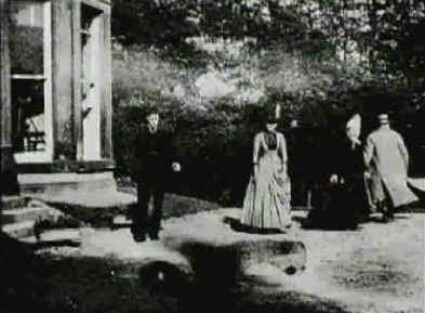 We had a discussion here a little while ago on a seven frame fragment of an 1897 film, and whether it still counted as a lost film or not. Compared to seven frames, a whole second of film may seem practically epic, and one second is the length of the films currently on show at The Beauty of a Second. This is a competition website, launched by Montblanc, a producer of watches and other fine goods, to mark the invention 190 years ago of the chronograph, a pocket watch accurate to one fifth of a second. The competition invites any interested to film anything, just so long as the subject is precisely one second long (and in 16:9 format). The competition has been running since September 23rd, and is divided into three rounds, with the current one open from November 16th to December 13th, should you wish to participate. The 20 videos in each round that get the most votes from people visiting the site go through to a final, which is to be judged by none other than Wim Wenders. Wenders is also the judge for a side competition to create a playlist out of the submitted videos (for 2 to 60 seconds long), adding a soundtrack from the Montblanc audio library. 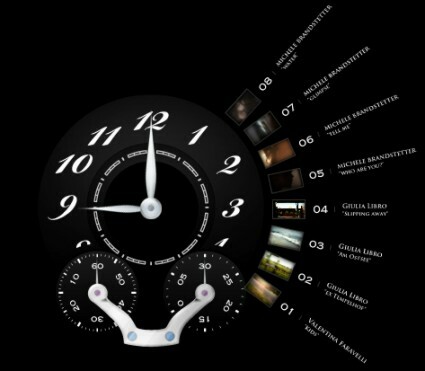 It’s a beautifully designed site, with the videos artfully arranged around a clockface. You can view the videos individually or as a set, which as each one last a second may be preferable. Though some have sounds, even music in one or two cases, most are silent, and I think we can see this as yet another instance of modern silent artistry. Because while most of the videos are essentially snapshots with a wobble, more than a few of the videos do artfully catch the eye in the instant that they have in which to do so. I warmly recommend browsing through the main competitition entries and the playlists, though if the number of seconds you can spare is few, then you should go to the Inspiration section, where a number of model one-second videos are on show to demonstrate what can be done. Some of these are made by Wenders himself, and are a delight – see for example his film An Eye for Details, in which a woman turns her head, with her eyes coming briefly into focus (literally for a split-second) before going out of focus once more. It is witty, observant, a hymn to the instant. It would good to see other filmmakers of note presented with such a challenge. I expect it is an idea that someone else will pick up on, in time. Things are still unsettled here at New Bioscope Towers, what with so much stuff still in boxes and electrical matters needing to be sorted out, but your scribe will for a while rest upon a handy packing case and record for you some of the news items from the world of silents this week (and the week before). As many of you will know now, the modern day silent film The Artist did not win the Palm d’Or at Cannes, though it was a close run thing. 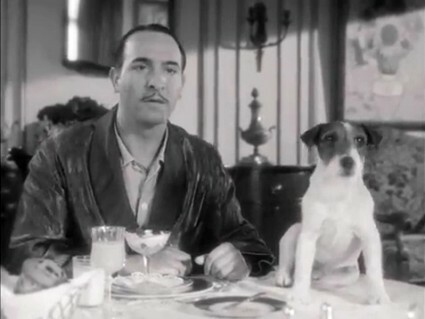 Jean Dujardin did pick up the award for best actor, but probably a little closer to the Bioscope’s heart was the announcement of the Palm Dog – an unofficial award for the best performance by a dog in a film shown at Cannes – which went to Uggy, a Jack Russell member of the cast of The Artist. Uggy’s performance has been variously described as “stunning”, “stand out” and “the finest in the 11 year history of the Palm Dog”. Read more. UNESCO’s Memory of the World programme highlights important documentary heritage artefacts from around the world, and as we have reported before now, a few films have been included so far. Newly inscribed on the register is the important Desmet collection of films, company documents, posters and film stills from the 1910s, submitted by the EYE Film Institute in Amsterdam(formerly the Nederlands Filmmuseum). Also inscribed in 2011, by the Russian Federation, is Tolstoy’s Personal Library and Manuscripts, Photo and Film Collection. I wasn’t aware Tolstoy had a personal film collection – as we have noted before, he was no lover of the medium. We will have to find out more. Read more. But there are also national registers, and new to the UK Memory of the World register is the extraordinary Mitchell & Kenyon collection of some 800 films from the Edwardian era, mostly actualties depicting lives in English and Irish working towns. Congratulations to the BFI National Archive which cares for the collection and successfully argued for the collection’s inclusion on the UK register (along with the GPO Film Unit collection of the 1930s). Read more. Toronto’s annual festial of modern, one-minute long silent films is open for entries once more. Describing itself as ‘the world’s only true “underground” film festival’, films submitted and selected get to reach over 1.3 million daily commuters who ride the Toronto subway system. The event takes place 9-18 September 2011 and this year’s guest judge is Atom Egoyan. The deadline for submissions is 15 July. You can see past award winners on TUFF’s Vimeo site – and the standard is high. Read more. 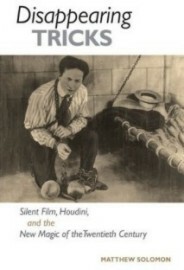 A thoughtful and observant article by Jana Prikyl on Buster Keaton has been published in The New York Review of Books to coincide with the screening of twelve feature-length and twelve short films by Buster Keaton, at Film Forum, New York City, 23 May – 8 August 2011. The essay covers Kino’s recent DVD and Blu-Ray releases, the Brownlow/Gill documentary A Hard Act to Follow, Kevin W. Sweeney’s Buster Keaton: Interviews, and James L. Neibaur’s The Fall of Buster Keaton: His Films for M-G-M, Educational Pictures, and Columbia. Read more. Well, these are busy times, aren’t they? 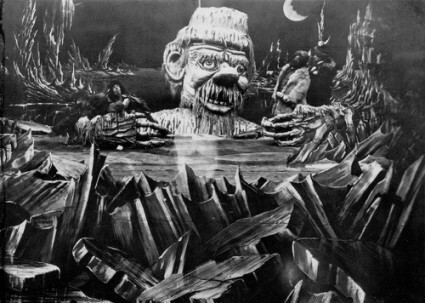 Much interest has been aroused by the news of the colour version of A Trip to the Moon and the release online of Film Daily 1922-1929 (from which the Bioscope has learned that there is nothing quite like having the words ‘film’ and ‘daily’ in a blog post title for attracting spam). 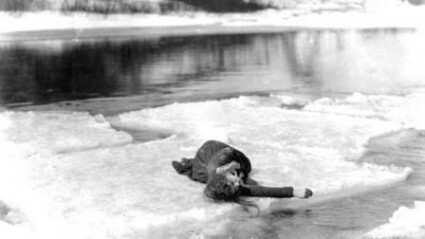 But what else has been happening in the silent film world? There’s been a lot of interest suddenly in the modern-day silent film The Artist, directed by Michel Hazanavicius, which as we reported last week was a late entry into competition at Cannes. Clearly some think quite highly of this A Star is Born-like tale of one star on the rise and another on the wane at the time of the crossover from silent to sound films. Now we learn that the sharp-eyed Harvey Weinstein has bought the film and clearly sees an unusual hit in the making. It certainly looks quite something from the trailer and the stills. 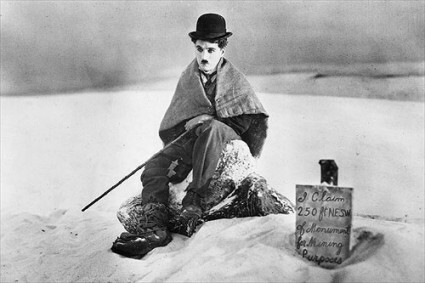 So will we be seeing a silent film in contention come Oscar time? Read more. 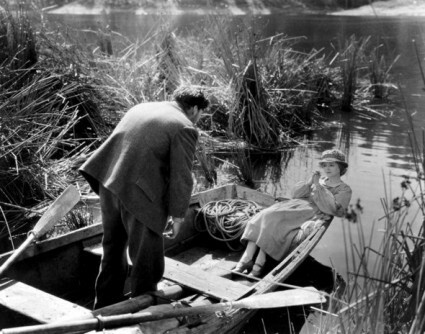 Silent film restorations scored twice at this week’s FOCAL International Awards. The awards, which celebrate the best work in the commercial footage business (chiefly in the UK), include awards for archive restorations which have grown in prominence particularly since Martin Scorsese won last year for the restoration of The Red Shoes. This year’s award for best single title went to the BFI’s exceptional work on The Great White Silence (1924), documenting the Scott Antarctic expedition, which beat strong silent competition from the new version of Metropolis. 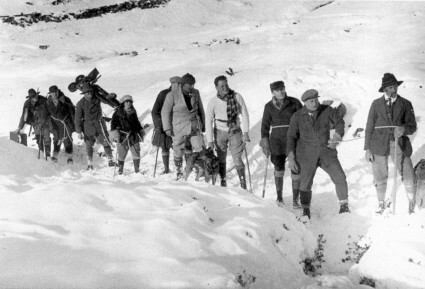 The award for best restoration project went to Lobster Films’ revelatory The Chaplin Keystone Project (a four-disc DVD set), which the French firm undertook with the BFI and Cineteca di Bologna. Read more. Recently garlanded with a FOCAL restoration award, as noted above, The Great White Silence is being released across the UK by the BFI from next Friday. 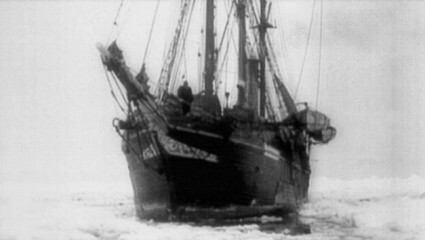 Featuring a new score (which might possibly divide opinion) from new score by Simon Fisher Turner, the film of the British Antarctic Expedition (1910-1913), filmed by Herbert Ponting, will be on release up to mid-July, while DVD and Blu-Ray will be released in June. Following on from the success of the re-release of Metropolis, this seems evidence of growing public a public taste for silents, which we hope we hope will be encouraged further. Read more. There hasn’t been much of chance before now to draw your attention to Cine Silente Mexicano, a fine blog which happens to be in Spanish. But for its most recent post it has turned to English to tell the genuinely fascinating story of Ammunition Smuggling on the Mexican Border (1914), a three-reel docudrama (now lost, alas) which recreated a clash between Sherrif Buck (who played himself) and gun smuggling revolutionaries. The post was written by Scott Simmon, via the The 7th Orphan Film Symposium. Read more. 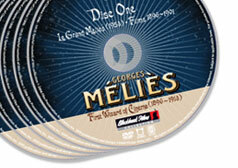 Fancy driving away with a piece of film history? You’ve got until May 15th to put in a bid on eBay for Charlie Chaplin’s 1929 Pierce Arrow dual-cowl phaeton convertible, Model 143. The current bid is for $88,100.00, but the reserve has not been met yet. Now’s your chance. Read more. 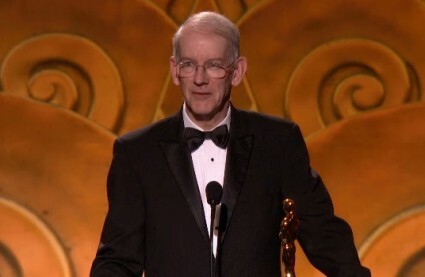 Warm congratulations to Kevin Brownlow on his receipt last night of an honorary Academy Award for his work in documenting and preserving the films of the silent era. 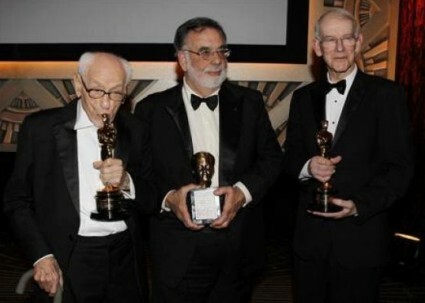 Brownlow received his award alongside Francis Ford Coppola (receiving the Irving G. Thalberg Award) and actor Eli Wallach at the Academy of Motion Picture Arts & Sciences’ annual annual Governors Awards ceremony. Jean-Luc Godard was also given an honorary award but declined to turn up. Hollywood luminaries such as Clint Eastwood, Warren Beatty, Annette Bening, Oliver Stone, Kevin Spacey and Robert De Niro were in the audience. There are reports on BBC News, Reuters, Entertainment Weekly and the New York Times. Coppola has gained the all the notices, but Brownlow’s achievement is the real headline news – for silent films, film preservation, the historiography of cinema, and for British cinema – and of course for himself. Kevin took the opportunity to lecture his audience on how American copyright laws had made his work more difficult, while also celebrating the artistry of the filmmakers who made Hollywood the cultural and commercial powerhouse that it remains. There’s also a biography with filmography and a ‘did you know’ on Kevin Brownlow on the AMPAS site. TUFF is the annuel Toronto Urban Film Festival, which has the noble ambition of showing new silent films to the commuters of Toronto. The festival, which takes place 10-19 September 2010, comprises an urban-themed programme of new one-minute silent films, which run repeatedly on the ONESTOP digital network of over 270 platform screens on fifty subway platforms of the Toronto Transit Commission (TTC) for ten days, reaching 1.3 million daily commuters. The top three films of the festival are chosen by a guest jury and guest judge; this year the judge is director, producer and screenwriter Deepa Mehta. The festival is now in its fourth year. TUFF is open to Canadian and international submissions by video artists, filmmakers – trained and untrained – animators and ‘urbanites’ with cameras or video-capable mobile devices. Filmmakers are asked to submit one-minute silent videos addressing one of seven themes: Urban Encounters; Urban Diversity; Urban Journeys; Urban Imaginary; Urban Natural; Urban Secrets; and Urban Ideas. Only the leading entrants in each category get to be screened on the TTC, from the hundreds of submissions made each year. The winning videos in each category from 2009 are now available to view on the TUFF site or on the festival’s YouTube channel (including entries from previous years).